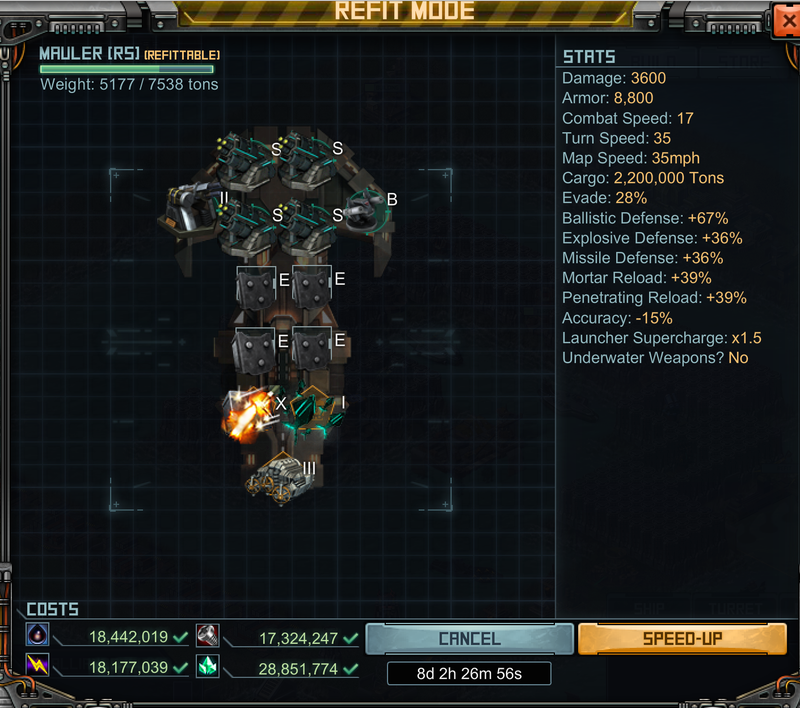 For a bit over a year I’ve been playing an online strategy game from a company called Kixeye. The game is called Battle Pirates and is a multiplayer online strategy game and kind of addicting! I started playing the game through Facebook but you can play from their own site as well, it’s a Flash based game but I think really well done. Draconian Empire, the once elite citizens who’ve now become a giant military complex. Like most games it has it’s ups and downs and large community following and like most it has it’s fanatics, crazies and die hard fans as well as those who just hate it (but always seem to keep playing). So the game is such that it runs in 5 worlds broken into sectors of 100 and you can travel throughout those sectors in the world where your base resides, however to move your base you must “relocate” it via a friend. You can relocate within your world or sector or to a completely new world or sector. I’ve moved to several of these worlds and sectors in my time since playing but the only differences you find are of course the players, the game elements are the same. You can attack other players, or game elements (Draconian or Reaver targets) you can create an alliance or even join an alliance and thus attack players in other alliances or just put around attacking the game elements all the time. Each week they have a “Forsaken Mission” often called the “weekly” and once you start it you have 72 hours to complete Tier 1 through 4 where you get a prize randomly from each tier you complete. Tiers are based on points and targets are different levels paying out different point amounts. For example here is a video of me attacking a level 65 Outpost with my Barracuda subs, the entire outpost pays out 923K points and each ship pays out 15K. Tier one is 150K, Tier 2 is 500K, Tier 3 is 2.5 million and Tier 4 is 4.5 million points. Now once a month they give us a “monthly raid” which has bigger targets, more points and you can choose your prizes based on the points you earn; usually you get 4 to 6 days for those raids and everyone starts and stops at the same time. 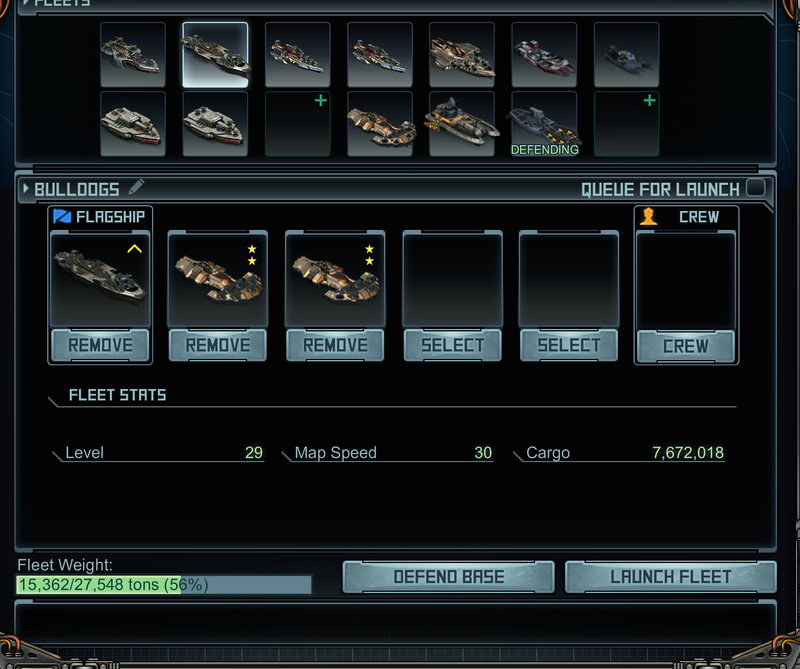 It’s a strategy game where different hulls have different modifiers and bonuses and different weapons, advanced items and armors can make or break your fleet (up to 5 ships per fleet – up to 14 fleets) so in theory two players all with the same items could end up with two completely different fleets. The game is free to play but you can also purchase game to make repairs quicker, build faster, etc. For the most part you can do quite well without spending a penny but at the same time you can do really really well with coins. Those who are quick to open their wallets are called “coiners”, those who cheat are called “hackers” and yes several hacks exist but usually you end up banned at some point. The numbers of those whining and complaining is rather large depending on the areas you are looking, reading and active but yet still plenty playing the game. Gamers always get sensitive to change in their games so you take it all as you see it. Personally I’m a level 67, some nice ships a decent base and do well for myself. If you want to play and want some tips you can find me in the game or through Facebook. The game does play in real time so when you have an 8 day build or 6 hour repair then you really have that time to wait! Lower levels you can usually get some great stuff build and that very quickly so you work your way up into the bigger and longer times. Battle Pirates will be performing an extended maintenance period Monday, September 8th at 9pm PDT. Battle Pirates will be unavailable until the maintenance is complete. A developer, writer, photographer, talker - words that describe Craig, but who is Craig? Craig is a person driven to interact and communicate, always looking to innovate over the years he's been through all spectrums of the development process for all platforms. He's built communities and helped define strategies to communicate and engage. Now though his focus has become more precise... With a major emphasis on interaction and collaboration Craig spends a lot of time both speaking and writing about effects of social in the work place and ways to improve efficiency through the use of "social media" in the day to day work you do.